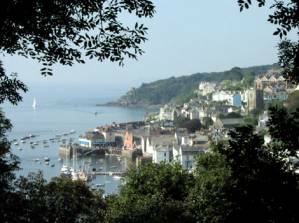 Hosted in the picturesque riverside town of Fowey from 12th to 21st May 2011, The Daphne Du Maurier Festival is world renowned for its diverse programme of events. From fascinating talks, comedy shows, poetry and theatre productions, music concerts, films and dance, to exhibitions, crafts, walks, garden visits, river trips and workshops, there is something for everyone to enjoy. A number of famous faces will be appearing – please click on the link to view a full programme and to buy tickets www.dumaurierfestival.co.uk or call the Festival’s Box Office on 01726 879500.